Hibberts Solicitors end 2018 with a yomping success! A team from Hibberts Solicitors finished their year with a 10k yomp through Tatton Park, the whole of which raised £28,000 to be split across four main charities. 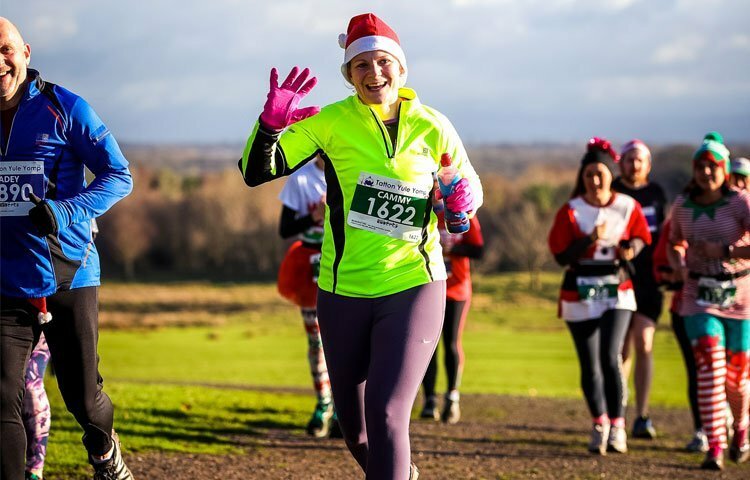 The Tatton Yule Yomp, which completed its 10th year, took place on 9th December and saw 1500 people take part, including the Hibberts Solicitors team – Chris Boundy, Carolyn Brooksbank, Camille Renaudon, Michael Ward, Anne Walley, Karen Tomlinson and Karen Witter. The 10K race started at the Knutsford Gate to Tatton Park, continued around the stunning grounds and beautiful scenery, across park trails and finished just outside Egerton Youth Club. The run was designed for all runners including clubs and team entrants, novice and recreational runners. There was also a junior 3k Fun Run which took place on the playing fields of the Egerton Youth Club. The money raised was split across four main charities – David Lewis, East Cheshire Hospice, North West Air Ambulance and Carers Trust 4all. David Lewis is the UK’s largest provider of care, education, assessment, treatment and life skill development for people with complex epilepsy, physical and learning difficulties and other neurological conditions. East Cheshire Hospice cares for adults suffering from life-limiting illnesses from which there is no cure. They care for the whole person, aiming to meet all needs, whether they are medical, emotional or spiritual or around the challenges of daily living. They support families and carers throughout what is often a difficult period. Carers Trust 4all offers a wide range of high-quality support services for carers and the people they look after, to allow a carer some normality and the chance to have a meaningful break away from their caring responsibilities in the knowledge that their loved one will be well looked after. Look out for this year’s date which will be announced on www.tattonyuleyomp.co.uk and on the Tatton Yule Yomp Facebook page.